Hibernian have signed Michael Hart on a two-year deal after the full-back's Preston contract was cancelled by mutual consent. 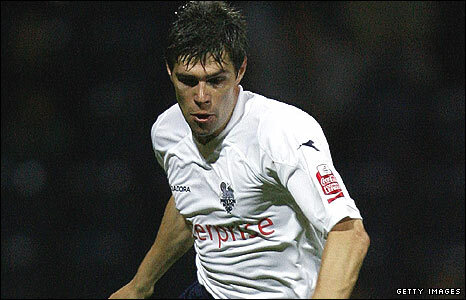 The 30-year-old made 17 starts for the Championship side in an injury plagued two-and-half years at Deepdale. "Michael is a quality player with lots of experience," manager John Hughes told the club website. "He's been on our radar for a long time and, for different reasons, we were previously unable to bring him in." Hughes has been searching for a right-back since he took over at Easter Road a year ago and enquired about a loan deal for Hart in January. With Kevin McCann dogged by fitness problems, midfielder David Wotherspoon was used in the role last season, while central defenders Steven Thicot and Chris Hogg were also asked to fill in. Are Hibs fans pleased with the new arrival? "My aim is to play regular first team football and I've played the majority of my career at right-back, so hopefully I can help out the team in that position," said Hart. "John Hughes is a manager I have admired for a long time, with his enthusiasm for the game and his ambitious nature. "But he didn't need to sell Hibernian to me because the prospect of playing Europa League football in a new-look stadium is really exciting." Hart began his career at Aberdeen and returned to Pittodrie in 2003 after a spell at Livingston. He left the Dons again in January 2008 for a small fee as he neared the end of his Pittodrie contract.